The Modern Art Of Setting Ablaze finds the sweet spot of punk, black metal, and doom while fully realizing the fusion that Mantar set out to make. 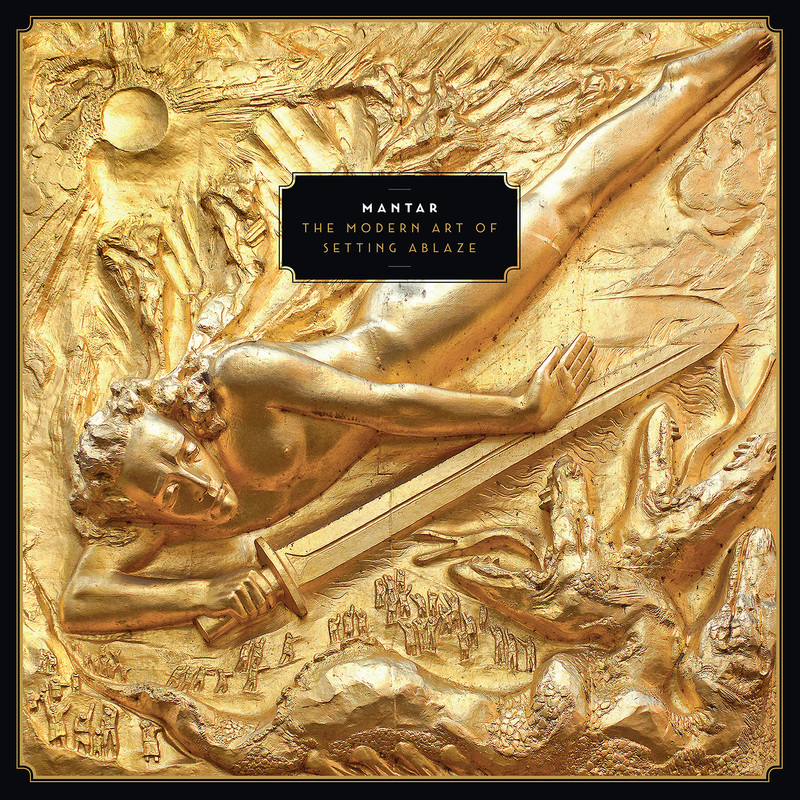 Mantar are one of those bands that I liked, but without actually liking much of their music. There’s a romanticism to a two-man band, as it’s still somewhat rare. Add to that Mantar’s amalgamation of genres and this is a band that on paper I should have been in love with right from the jump. With their new album The Modern Art Of Setting Ablaze, I kept my mind opened and was surprised by what I found. This German punk/doom/black metal band have evolved. After the two-minute intro track (can we just stop it with these intro tracks please? ), we get into the first song on the record, which was also the first single, “Age Of The Absurd.” The opening riffs of this song are so damn catchy that I found myself humming them hours after listening through the record. After a brief reprieve, thunderous black metal influences are heard in Hanno and Erinc’s vocals and in the pounding drums. What really sets this song apart, as well as the approach to the songwriting on this album as a whole, is the focus on groove. It’s everywhere. The groove continues with the third track, “Seek + Forget” where things actually lean into hard rock a bit more. What’s great though is that it also has some quiet and lovely passages that add dynamics to the song. As Setting Ablaze marches on, I found myself enjoying this Mayhem-meets-Motorhead formula. I won’t say that this album as a whole is more ‘accessible’, but in general, I found it more digestible than some of their previous releases. If you’ve followed Mantar since their debut, It probably wouldn’t be too difficult to see this evolution coming. Their 2017 EP The Spell was a step in this direction with their vision not being fully realized. I think they have reached the next level of evolution with this release. Most of the tracks on the record are generally upbeat, albeit brief, affairs with a few notable exceptions. Mantar have toyed with the sludge side of doom for a long time, so it’s only fitting that they crank up the atmosphere and slow down the metronome from time to time. A great example of this is the tenth track, “The Formation Of Night”. It manages to whip up a thick atmosphere but still has some thumping downbeats that keep the heads nodding. It’s also one of the most melodic songs, and for that, it’s simply one of my favorites. The record closes with “The Funeral” and it has a nice finality to it. It also begins with one of the sickest opening lines to a song that I have heard all year: ‘I don’t want you to wear black when I die / ’cause I’m better than you’. The biting lyrics and the raspy embittered vocals evoke a classic punk rock attitude, but with gallons of blackened sludge drizzled on top. It’s rad. With a flood of music releases washing up in my inbox, on forums, and from my own perusal, getting a pleasant surprise is a godsend. It has been a while since my enthusiasm went from naught to sixty, but along came this album’s infectious energy to get me rolling. The Modern Art Of Setting Ablaze finds the sweet spot of punk, black metal, and doom while fully realizing the fusion that Mantar set out to make. They will win a whole new legion of fans with this effort, and I’m pleased to find myself among them. Previous PostCoheed and Cambria Lost All Their Hope Down in "The Gutter"